I've mentioned before that we don't have real cable, just the basic kind where you get the 5 network channels and there is never anything worth watching on. As I write this Jeremy is watching some survivor dating show- it's one of the most pathetic things I've ever seen. We started watching The National Parks; America's Best Idea, a film by Ken Burns. It is a six part series and it is spectacular. It is beautifully written, filled with interesting facts, stories and breath taking video. I am ready to hop in the car this minute and go see all of America's natural beauty. We forget how lucky we are. 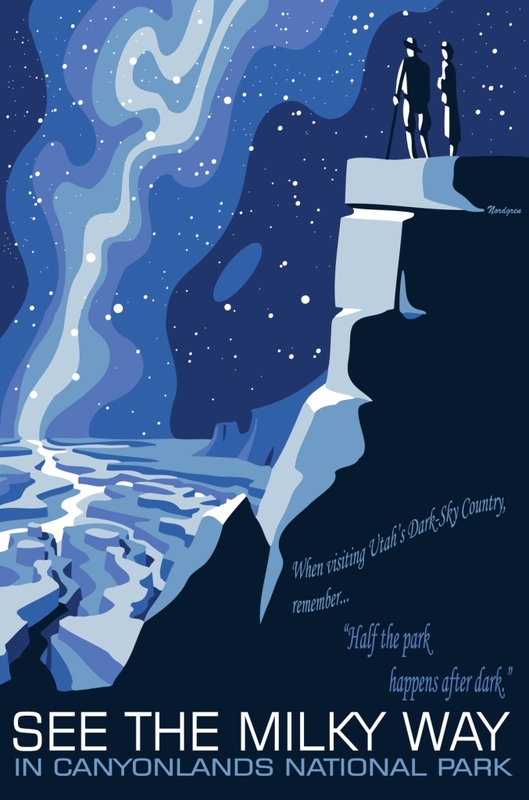 Watching The National Parks reminded me of these fabulous posters I ran across a few months ago designed by Dr. Tyler Nordgren, who wrote Stars Above, Earth Below: A guide to astronomey in the national parks. I'm sorry I had to show you pretty much all of them. I just love to look at them. I can't put my finger on what it is, there is just something so wholesome and wondrous about them. I want to be there in the wilderness, in the dark, staring up, lost in the glittering milky way.